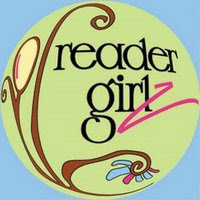 When Readergirlz invited me to join the ranks of Divahood, I hesitated. I've honed my vocational mission statement through the years and the first two words in it are "to serve." Wanting to become a Diva (defined by Merriam Webster as an "unusually glamorous and successful female performer or personality") seemed a contradiction. But then I took a closer look at what Lorie Ann, Janet, Dia, and Justina were asking: they wanted me to be the one to book the authors featured in the 4,500-member (and growing) forum. Basically, that means promoting other writers so that teens can connect with great novels. After a year of moaning about publicity (or lack thereof), this felt like my answer -- instead of spinning wheels in time-consuming efforts to brand myself, I could foster the love of books in general (not just my own) and join a team dedicated to literacy, girls, and stories. Okay, my skeptical friends, you might think, "Right, Mitali. This is all about getting yourself and your books more out there." Yes, there is an element of self-promotion involved; I've usually gained secondary rewards when I make decisions in line with my primary statement of purpose. And, as my mother always reminds me, as long as my priorities are in the right order there's nothing wrong with a win-win situation. I highly recommend going away for an overnight (if possible -- take an hour in a coffee shop if that's all you've got) and coming up with a vocational manifesta of your own even if you're not a writer. Or a diva.